If you prefer the regular blog format then read below. In simplest of words, 3D printing involves printing actual objects. It is not manufacturing or creating, simply printing! And why is it called 3D printing? Because it involves a printer that connects to a computer. The basic idea is that if you have designed a product in a CAD software, it can be printed out layer by layer using a 3D printer. 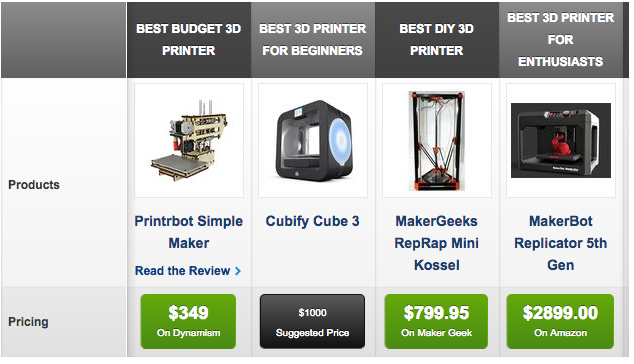 There are several types of 3D printers available that use different technologies to print. Some printers use powdered material (Selective Laser Sintering or SLS) while others use plastic or metal wire (Fused Deposition Modeling or FDM) or resin (Stereolithography). The basic principle of a 3D printer dictates that you can print objects with it. That’s cool and all, but what is it about 3D printing that is causing such a huge commotion? See, what’s amazing about 3D printing is that it cannot just print objects, it can print useful objects. VERY useful objects. So useful that those objects can save or extend people’s lives. We are not using ink – we are using glass, plastic, powder among other things to 3D print, which essentially means that we can print just about anything with a 3D printer. It’s not easy to fathom the extent to which 3D printing can go. It is both mind blowing and baffling to know that 3D printing can print anything from a cute little toy to a life saving organ. Just recently, a major breakthrough in the 3D printing space allowed 3D printed tissue to survive on its own. Such breakthroughs have led to important organs like kidneys to be developed for transplants. It’s a no brainer that since we can print anything with a 3D printer, we can print prosthetics as well. There are more than 10 million amputees around the world . Arranging a (traditional) prosthetic limb for them is always a challenge because of the cost involved which can range anywhere from $20,000 – $50,000. These exorbitant costs can deter anyone from pursuing an important accessory that will enhance their lives, more so because insurance companies do not cover the costs of prosthetic limbs especially for little children because they outgrow their prosthetic limb very quickly. However, not surprisingly, 3D printers have come to the rescue of people who need artificial limbs. It is unbelievable how easily a limb can be printed by a 3D printer – layer by layer, that functions just like a traditional prosthetic limb. Believe it or not, a 3D printed prosthetic hand can cost anywhere from $5 to $100. That’s it! And because of that, people are more willing to experiment with the design to come up with more efficient limbs. Outgrowing a prosthetic limb is not a worry anymore either. There are several voluntary organizations out there that are making 3D printed prosthetic hands available for amputees at a very affordable price. prosthetic hand using a 3D printer is readily available to the entire community on their website. Anyone who adds improvements to the project are shared with the entire community. What you have read here is just the beginning. There are tons of innovations being made in the world of assistive technology using 3D printers on a regular basis! 3D printers are getting cheaper by the day, which means that more and more hobbyists and designers are getting their hands on them, fueling creativity and collaboration and taking 3D printing to a whole new level! 3D printers. If you or someone you know is interested in knowing more or using 3D printers, this link should be a good resource to get you started.